New Orleans Pelicans: Pursuit Of 8th Playoff Spot Worth It In Big Picture? 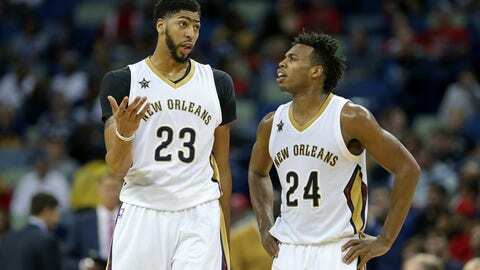 The New Orleans Pelicans are only a few games out of the eighth seed and very much in the running for a playoff spot. But is their pursuit worth jeopardizing the big picture? At 19-31 and only 3.5 games out of the eighth and final playoff spot in the Western Conference standings, the New Orleans Pelicans are very much “alive” in their pursuit to gain entry into the postseason. However, when you consider the current state of the franchise, one must ask: is the prospect of what would likely be a quick first round exit (probably by the hands of either the Golden State Warriors or San Antonio Spurs) worth jeopardizing the big picture? For the Pelicans, the big picture includes obtaining an additional star-caliber player for the franchise to build around in addition to Anthony Davis, while creating a culture of sustainable success. When you break down the hierarchy of teams in the NBA, one thing continues to stand out. It has been a top-heavy league for some time and continues to remain that way despite the running narrative of improved parity around the association. Including 1998-99 lockout season, only five teams have represented the Western Conference in the Finals: the San Antonio Spurs, Los Angeles Lakers, Dallas Mavericks, Oklahoma City Thunder and most recently, the Golden State Warriors. Nine teams from the Eastern Conference have made it to the Finals during that same span, but only four teams (the Miami Heat, Boston Celtics, Cleveland Cavaliers and Detroit Pistons) have come out of the East as NBA champions since that shortened1998-99 season. Certainly the formation of “super teams” by the Celtics and Heat, and the dominance of LeBron James (who has been in the last six NBA Finals) has accounted for what has been a monopoly of success for only a limited number of franchises in the Eastern Conference. But having at least one team make it into the playoffs with a sub-.500 record in four of the last six seasons (and looks to be that way again this year) also speaks to how weak overall the East has been in recent years. In the West, the Spurs and Lakers have dominated the conference since the early millennium and even with the recent falloff of the Lakers, both teams have combined to represent the West in 13 out of the last 18 NBA Finals. Even with that, the West has still been viewed as the stronger of the two regions from top to bottom and has mostly held up that belief over the years; even if most of the teams in the Western Conference playoff pool had no realistic chance of making it the Finals. Once you eliminate your top-tier teams, next you have teams such as the Los Angeles Clippers, Atlanta Hawks, Houston Rockets, Toronto Raptors and Boston Celtics. Those teams tend to always end up high in the standings, but we all know they have no chance at beating out the aforementioned top-tier clubs unless there’s some type of league-shifting injury or some other catastrophic event. 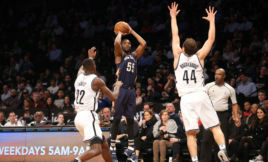 After that there’s everybody else — teams that consistently find themselves on the outside looking in, or teams that in one year show promise as a “middle of the pact” squad only to miss the playoffs the next season, like the Pelicans did in 2014-15 by getting into the playoffs as an eighth seed with a 45-37 record only to fire then head coach, Monty Williams, and go 30-52 the following year. So now let’s look ahead at how the New Orleans Pelicans can get out of the cycle of a bottom tier team, add impactful talent and ultimately reach their goal of sustainable success. When a franchise has a once in a generation talent like they do in Anthony Davis, they need to surround him with capable help and put themselves in a position where they’re competing for NBA titles each and every year. Being content with breaking through as an eighth seed is simply not enough. So now the question becomes, how do they do that? Well, in the short term — two words –the draft. It’s no secret that the Pelicans have a deficiency in terms of talent and a playoff berth this season would assuredly take them out of the NBA Draft Lottery; which is more than likely their best chance at adding an impactful player to the roster. Sure, the prospect of playing with a talented young superstar in Anthony Davis will undoubtedly be tempting for free agents in the offseason. But it has always been more common for top-notch guys who have options to sign with a true “contender” rather than teams that are in the middle of a rebuild; even ones who got into the playoffs off a sub-500 record. If you don’t believe me, just ask yourself how many of the top to mid free-agents even had the Pelicans on their list of destinations as of late. And that was before the playing field was recently leveled by the NBA’s new $24 billion television and media rights deal with ESPN and TNT. It’s a deal that allows more quality teams the ability to hand out max contracts to big-time free agents due to the league’s increased revenue, which has raised the salary cap significantly and will continue to do so. So because of that, there’s an added weight on the NBA draft for teams like the Pelicans when it comes to adding talent. Lucky for them, the 2017 NBA Draft is loaded with such talent. When you look at the small forward/wing position, a position where the Pelicans can certainly use some help, guys like Josh Jackson, Jayson Tatum or Jonathan Isaac, who have star potential, should be available in the top 10 (where New Orleans are projected to pick). Now of course, the NBA draft is no exact science and the probability of missing on a prospect greatly outweighs its counterpart. However, even the opportunity to obtain such talent goes away if the Pelicans were to make this year’s playoffs. Teams need stars to truly compete in the NBA. LeBron, as great as he is, leaned heavily on Dwyane Wade and Chris Bosh when the Heat won their two titles. He needed Kyrie Irving and Kevin Love to come back from down 3-1 to best the Warriors. The small-ball system helped Golden State win their trophy 2015, but the system only catered to the traits of their emerging stars in Stephen Curry, Klay Thompson and Draymond Green. And even after back-to-back trips to the Finals, the Warriors recognized that a special talent like Kevin Durant was too good to pass up this past offseason; even if it meant possibly disrupting the formula that had been successful for them. We often see the Spurs as a collective unit but when they need clutch buckets at the end of games, or when things break down offensively, they too have had multiple go-to options. How many clutch buckets have we seen from Manu Ginobili, Tim Duncan, Tony Parker and more recently Kawhi Leonard over the years? Jrue Holiday, a former All-Star in 2013, is a more than capable sidekick for Anthony Davis when he’s healthy but that has been a concern over the years and isn’t something to be overlooked. Buddy Hield continues to show improvement but is nowhere near the type of player who we would considered a future All-Star at this point. Davis and the Pelicans would be best served to find another cornerstone type player who the franchise can build around in addition to Davis — a dynamic player who can create for himself or others. A player who can be leaned on in big moments and take over games if need be. Let’s be honest, that guy isn’t walking through the door via free agency, at least not at this juncture of where the Pelicans currently stand. So New Orleans has to remain focused on the bigger picture of finding another All-Star caliber player through the NBA draft, even if that means sacrificing in the short-term in order to find sustainable long-term success.